The GOP Wants to Drain the Swamp of Wall Street’s Enemies by Any Means NecessaryRichard Cordray can’t be fired without cause from the Consumer Financial Protection Bureau until 2018. But the GOP is determined to find a cause. Here’s What the Markets Expect From President TrumpTrump’s America will be a great place for banks and for-profit colleges — but not for hospitals — according to the Wall Street hive mind. 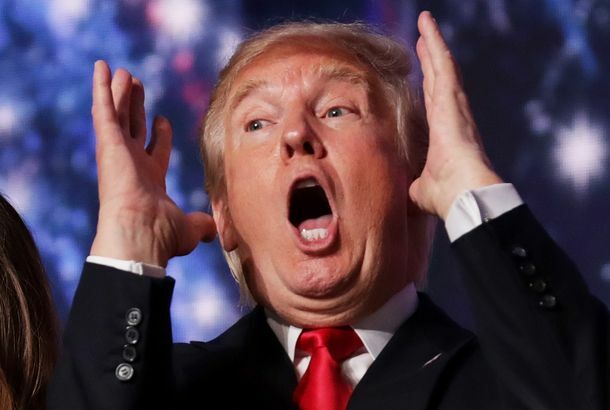 Donald Trump Shoots Down Boeing’s Stock PriceTrump cancels an “order” of new 747 Air Force One planes over Twitter, and one of the largest companies on the Dow sees its share price slide. 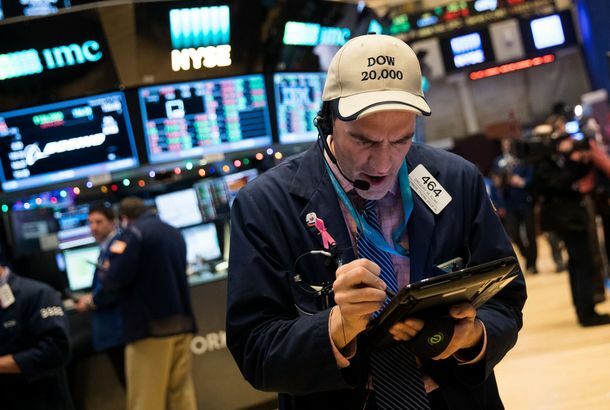 Dow Hits New High, As Trump Eases Wall Street’s Economic AnxietyIt’s starting to seem like what’s good for the stock market might not, necessarily, be good for humanity. Trump Has Made Wall Street Giddy AgainWall Street was expecting new regulations. Now it’s getting deregulation, tax cuts, and cabinet positions — because the “populist” won. Wall Street’s (Confused) Position on Trump’s PresidencySpeculation in a vacuum of information. Trump Wants to Let Wall Street Scam Customers Again Because of Course He DoesThe new age of populism arrives. Hedge-Fund Manager Whitney Tilson Is Selling the Trump Stock-Market RallyHe’s positioning for a world where uncertainty reigns. How Jack Bogle’s Long-Game Investment Strategy Beat Wall Street Every TimeThe founder of Vanguard has been right all along about index funds. At 87, he’s finally feeling vindicated. Clinton Considered Releasing Her Wall Street Speeches on ‘Transparency Day’After Clinton’s top aides found out about her private email server, some advised her to lay all of her cards before the public in a one-day news dump. Federal Bureaucrats Unveil New Plan to Put Wall Street CEOs in PrisonWhen the big banks commit fraud, their executives escape liability by pleading ignorance. This new rule would eliminate that line of defense. If Trump Weren’t a Monster, Clinton’s Leaked Speeches Would Be DevastatingOn Friday, WikiLeaks revealed Clinton’s closed-door speeches to Goldman Sachs. It’s no mystery why she wanted to keep them secret. 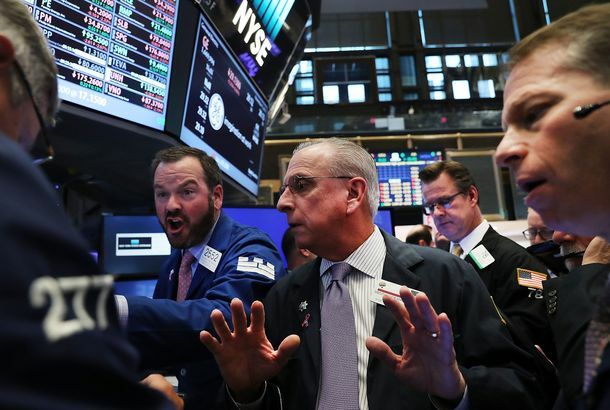 More Evidence That Wall Street Fears the Candidate Who Wants to Cut Its TaxesThe happy reaction of markets to Trump’s bad debate performance shows investors really do think the mogul’s impact on the economy would be terrible. The Stock Market Is Quiet. Too Quiet.The volatility of the stock market is at a two-decade low. Some analysts worry we might be in the calm before the storm. The Supreme Court, Reddit, and 9 Other Things in Need of an All-Lady RebootInspired by Ghostbusters. Report: Trump Eyeing Goldman Banker for TreasuryOne day after the Trump campaign accused Clinton of being owned by her Wall Street donors, Fortune reports that Trump plans to appoint one of those donors to the Treasury Department. GOP Platform to Call for Breaking Up the Big Banks, Trump Campaign SaysTrump campaign manager Paul Manafort derides Hillary Clinton as a Wall Street lackey and says the GOP platform will call for reinstating Glass-Steagall. Meet the Wall Street Titans Who Back TrumpSome of their peers think they’re liable to ruin their reputations. Wall Street Donors to Clinton: Pick Warren and Your Fundraising Gets ItWall Street donors tell the Clinton campaign she can have their cash or Elizabeth Warren as her running mate, but she can’t have both. Activists Have Declared War on Hedge Funds — and They Might Be WinningLarge investors are pulling out money for both political and financial reasons. Does this mark the beginning of a long decline? Reckless Bankers Won’t Get Bonuses AnymoreRegulators announce a long-delayed rule curbing compensation for bankers who take excessive risks. Clinton Isn’t Sure That Sanders Is a DemocratClinton goes on the attack in a pair of interviews, questioning Sanders’s party loyalty and his understanding of Wall Street reform. Did Wall Street Buy This Vote From Clinton?In a 2004 interview, Elizabeth Warren suggested that the financial industry influenced Clinton’s flip-flop on bankruptcy reform. How Valeant Went From Wall St. Darling to PariahInside the biggest and most bizarre business scandal of the past year. Hillary’s Wall Street Trust GapWhy don’t progressives trust Clinton? Police Arrest Estranged Husband of Millionaire Money Manager for Her 2009 MurderHer 9-year-old daughter found her dead in the tub on the Upper West Side. She’d been strangled. Soon New Yorkers May No Longer Have to Choose Between Rite Aid and Duane ReadeSomeday there may be only one drugstore. Goldman Sachs CEO Lloyd Blankfein Has CancerIt is a “highly curable” form of lymphoma. Wall Street Cop Ben Lawsky: ‘That Was What Surprised Me, the Obviousness of It’Wall Street cop Ben Lawsky on brazen financial crimes, why cybersecurity is the biggest threat to our financial system, and his newest gig. Teen Daughter Introduces Bored Wall Street Dad to Dangers of SnapchatIf you send a Snapchat to your daughter, she will screenshot it and upload it to Instagram, as teen scripture dictates. Etsy Trying to Make Slow-Grown, Artisanal Earnings Cool on Wall StreetHand-crafted, artisanal earnings that can’t be hurried. Scenes From Flood Wall Street, Occupy’s ‘Family Reunion’Police arrested 104 people, including a polar bear. Alibaba Just Went Public in One of the Biggest IPOs EverAnd Wall Street is going nuts. People Are Making Wedding Stock Registries to Get Rich While They Get HitchedIt’s better than another salad bowl. What Eric Cantor Is Really Going to Do on Wall StreetThe ousted House majority leader has no investment-banking experience. But he has extremely valuable connections. Eric Cantor Forgoes Fox News Gig, Chooses Cushy Job Behind Door No. 2Yup, he’s headed to Wall Street. Sorry, Wall Street. Paying Young Bankers More Won’t Make You Cool Again.The new rules privilege prestige over pay. PIMCO Reportedly Besieged by BedbugsMore like PIMNOOOOOOO. Bloomberg Terminals Have Own Listing Service Now we know. The Benghazi Scandal Was Great for CitigroupWall Street can profit from anything.